Wakefield Park is on Main Street, just west of downtown Morenci. The Park is a recreational and sports park, with a large playground for children, pavillion, tennis courts, and skateboard area. Within the park, the groomed area is dominated by two huge Kentucky coffeetrees planted in the mid-19th century. Bean Creek flows along the length of the east boundary of the park through fairly steep banks. 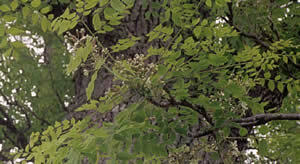 Several large cottonwood trees grow at the edge of the stream, as well as hackberry trees, sycamore, and willows. 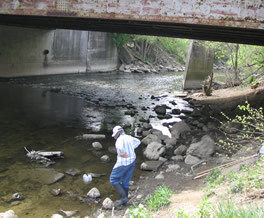 Bean Creek at Wakefield Park was a sampling site during the 2002 Celebration of the Clean Water Act, and was also the scene of macroinvertebrate search in the "Writing on the Bean" project, April 30, 2004. 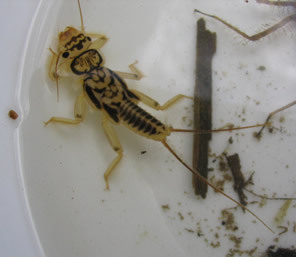 An unusually large stonefly larva was found during this stream search, identified as an Eastern stonefly, Acroneuria arenosa (Plecoptera:Perlidae) by DEQ aquatic biologist Jeff Cooper, who said, "This critter is not only an indicator of relatively good levels of D.O. 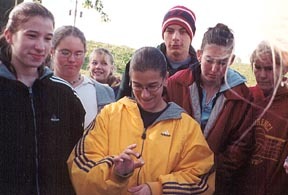 [Dissolved Oxygen], but this is a stonefly that typically lives in a stream for two years before emerging as an adult. Insects that live for more than a year are considered to be an indicator of stream stability or stable conditions as two years is a long time for a bug, and it only takes one bad event to end things."